Pierre Shaw obtained his BA Architecture at the University of Sheffield, UK where he was nominated for the RIBA Bronze Medal in architecture. Continuing his study in MA Architecture at the Royal College of Art his research explored the contemporary challenges faced by the nation-state and the resultant effect on its borders, in a possible future where transnational corporate technological development has had profound consequences upon the nature of collective identity. In 2017 Pierre co-founded the School of Speculation with Kishan San, a non-for-profit nomadic critical design school with the goal to diversify and broaden the remit of Critical Design in the UK. It hosts short courses, talks and exhibitions advocating speculative and future design thinking. Pierre has also held a research fellowship at the British Councilas well as publishing academic essays for e-flux and the Institute of Ideas. He is a member of the Future Cities Project helping to run talks and events and is a guest critic at the École Supérieure d’Architecture de Belleville, Paris. He was named as ‘One to watch’ by Blueprint Magazine in 2018. 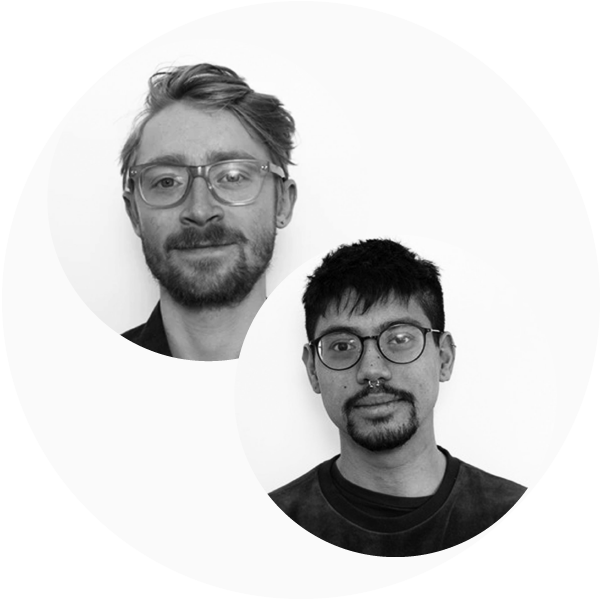 Pierre works alongside Kishan as architectural assistants at RIBA Stirling Prize winning Haworth Tompkins, London. As a Londoner of Indo-Chinese descent, Kishan’s work investigates fluctuating notions of identity in an increasingly unstable, globalised and cosmopolitan world society. He is currently studying at the Architectural Association and his work examines the liquefaction of citizenship and its possible architectural consequences. Kishan has published under RIBA Journal and the Architectural Review Folio Blog. The School of Speculation (SOS) proposes an interactive, structured, fast paced, (run) through their narrative design methodology. Creative and fun and designed around table discussions, individual creative writing and collage tasks, our workshop is based on the future of digital platforms. We are all aware of the physical manifestation and vast energy consumption of the internet, revealed through the data centre; a windowless hum of silicone and copper constructed in semi-urban environments. But what evidence is there of the digital platforms that rely on this superstructure? Data-hungry tech giants incite the growth of an unseen technological social production. In an age of accelerated computational reliance, digital platforms have pervaded our homes and workplaces, controlling what we consume and when in the pursuit of capital. Networks of information carry with them the threads of social and financial contracts revealing a new kind of high-speed international, or ‘extra’-national, politics. We are entering a world in which the digital architectures of efficiency, data yielded averages and algorithmic determinism are producing a machine centred and global minded morality. The School of Speculation (SOS) will guide participants through an exciting world-building exercise in which we will analyse some of the most successful digital platforms operations before speculating on a near future and it’s altered social and political environment. We will fill our future worlds with the objects and media that make it a critical comment on the workshops findings. The workshop will consist of activity based exercises that walk people through the SOS critical design methodology. Their intense workshop makes for an exciting day of future thinking around one of the most contemporary subject areas. The workshop is designed to be politically charged, provoking debate and critical thinking whilst being fast-paced enough to remain light-touch and fun for all participants. A developed use of creative writing and visual representation; attendees will be considering their language and image thinking under a fast paced environment.